Enjoy it either still or sparkling. 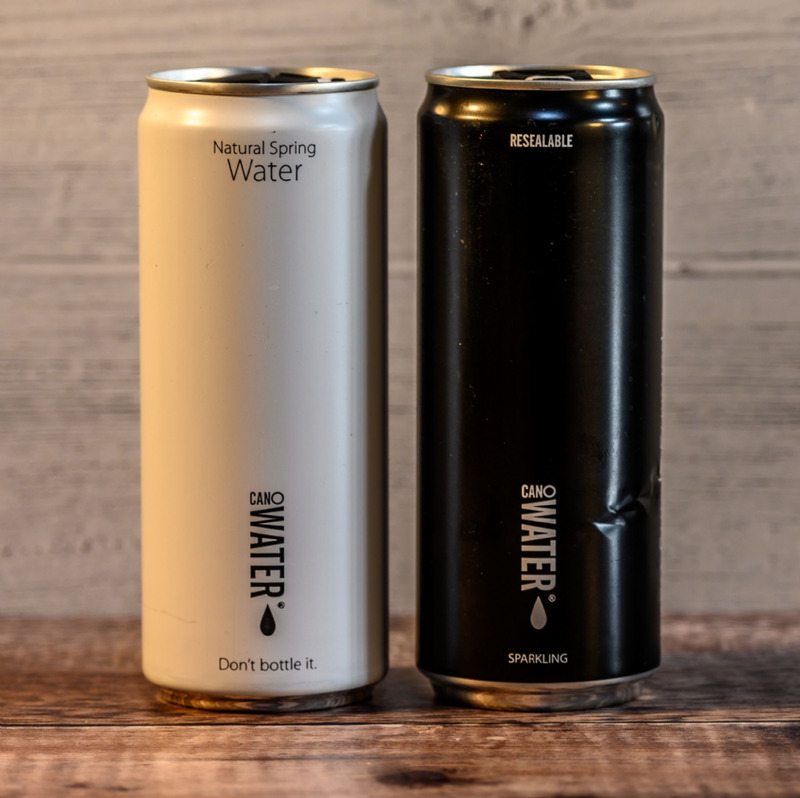 Cano water is a simple yet effective alternative to plastic, the aim of this product is to put an end to a global impact that plastic is currently having. Aluminium can protect from harmful toxins, whereas plastic water bottles can leak toxins if exposed to sunlight. Water is kept cooler for longer. As the resealable lid is far less than 50% of the total weight of the can, it gets absorbed into the recycling process without any compromise. Makings its way through the ground collecting vital minerals and electrolytes before being collected and canned. Increased Alkaline concentration, aiding antioxidant properties to keep you feeling refreshed.